UPDATE: Earlier today I had a chance to speak with a representative from www.UniqueMovieCarsLasVegas.com about this car. This is an original Defender used in the actual movie. It is one of only two Defenders in the world. The original Defender was built by Chrysler, but was built more as an auto show prototype and not a fully capable vehicle. The cars used for the series were built by Unique Movie Cars. After the series ended (for the second time), all but one of the cars was crushed. This is that one car that was saved. 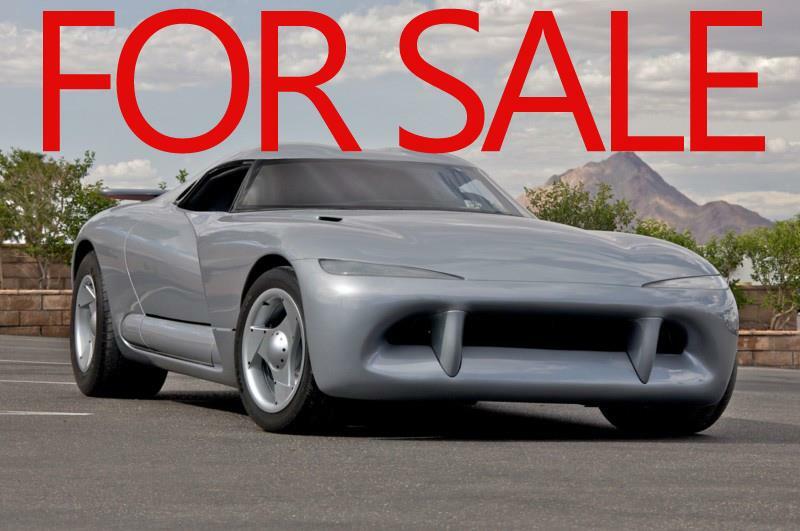 The original prototype is owned by Chrysler and is being held in their automotive vault. The Defender from hit TV Series VIPER is for sale on Ebay. I wrote about the VIPER series in a long post on automotive product placement. That's probably why @UniqueMovieCars decided to share the link with me. Being the storyteller and creative SOB that I am, I decided to revise the show's opening scene by replacing the Defender (above) with clips of the new SRT Viper. Being that I don't know the first thing about video editing, my "movie" turned out to be both crappy and awesome at the same time. A Dodge Charger will star in new SyFy series Defiance and this weekend most of us will see even more Chrysler products in Fast and Furious 6. Chrysler seems to be taking this product placement thing very serious and they are doing a rather good job of it. There is a great deal of interest in product placement in the chase for eyeballs as people shift their media consumption habits. Traditional ads are reaching less people and where it makes sense product placement can have a greater impact, if done correctly that is. Chevy has managed to take a very obvious product placement in NBC's Hawaii Five-O and make it ever more IN-YOUR-FACE by running mini-ads before a full commercial break. Roll b-roll of Kono's Cruze. Announcer - "Chevy, proud sponsor of this show." "The Chevy Cruze is America's most dependable best-in-class-leading-highest-safety-blah-blah..."
1. Is everyone in Hawaii really that beautiful? 2. I'm sick of seeing Chevy product. PS: Ralph Gilles, SRT Boss, needs to buy this car and write it off as office equipment.